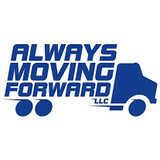 Always Moving Forward is a veteran owned and operated moving company specializing in local moves across Eastern Iowa including Cedar Rapids, Iowa City, Waterloo, Dubuque and the Quad Cities. Relocating to a new house is stressful enough without having to worry about the logistics of an entire move. So when it comes to the heavy-lifting (literally), leave it to the professionals — professional movers, that is. Experienced South Amana, IA moving companies consist of expert movers and packers who can efficiently pack, move and assemble your South Amana belongings to ensure that you get off to a good start in your new home!